The DVD-RAM disk is encased in a hard plastic cartridge caddy case for protection and cannot be read in a normal dvd drive. We can convert the disks and retrieve the data to say a USB hdd for easy access in Apple Mac or Windows PC computer. This includes computer files as well as video type dvd-ram as used in DVD-RAM recorders. If you need a DVD-RAM cartridge caddy disk conversion service, then contact our friendly company. The DVD-RAM disk is encased in a hard plastic cartridge caddy case for protection and cannot be read in a normal dvd drive. We can convert the disks and retrieve the data to say a USB hdd for easy access in Apple Mac or Windows PC computer. 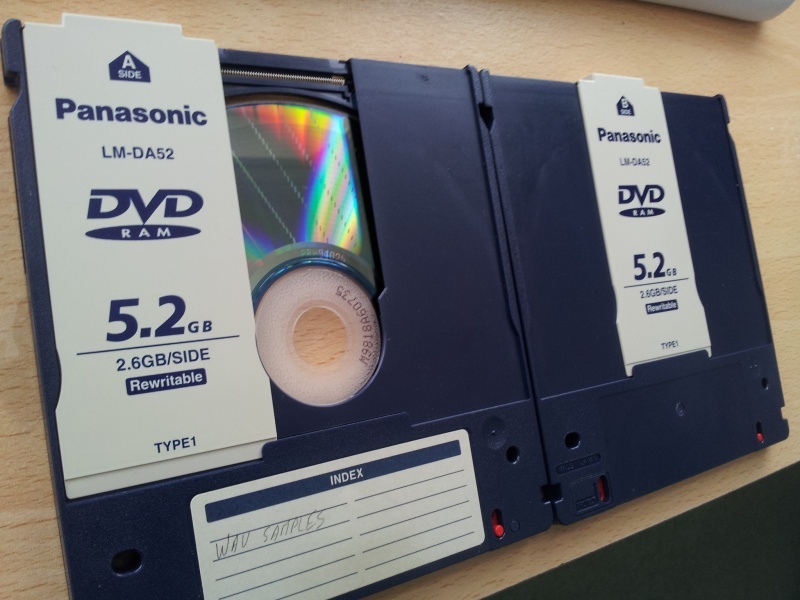 This includes computer files as well as video type dvd-ram as used in DVD-RAM recorders..